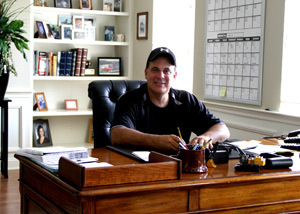 Michael J. Milano has been working in the residential and commercial building arena along the Connecticut shoreline since 1982. His commitment to building homes of enduring value and guaranteed quality began under his father's tutelage during his high school years. Mike was literally taught the construction business by John Milano from the ground up. As a teenager, under his fathers guidance, he swept streets, cleaned out storm drains and scraped newly painted windows for another contractor. He acquired knowledge and hands on experience in every aspect of the building of a home, a neighborhood, a commercial project. From his earliest years, Mike emphasized good craftsmanship , attention to detail, and respect for the environment regardless of a project's size. These uncompromising standards are the foundation of his reputation today. With over 30 years of experience, Mike has a number of successfully completed projects in his portfolio. These include 10 subdivisions ranging in location from Madison and Clinton up through Haddam. Commercial properties include 18 buildings in the Nod Road and Nod Place business district of Clinton, several condominium rentals along the water and a new apartment and retail complex, 67 West Main, currently in the design stage on Route 1 also in Clinton. Over the years, Michael has served on the Boards of diverse businesses including The Guilford Savings Bank. He also founded several successful companies of his own. Throughout his career, Mike has found time to be a generous supporter of local nonprofit organizations. He has provided both cash donations and/or storage space for Wind over Wings, the Clinton Rotary, the Clinton Fire Department and The Killingworth Foundation. As a builder, he has donated land to the Clinton Land Trust, the Redwing Foundation of Clinton, and both the Madison and Haddam Land Trusts. Most recently, Mike provided excavation services and coordinated the efforts of local contractors to assist in the restoration of the grounds and a pole barn and a much needed public restroom at the Parmelee Farm historical site in Killingworth. His efforts and those of his building associates and their work crews greatly reduced project costs for the non profit Parmelee Farm Steering Committee. Very much a family man, Michael lives with his wife and two children in a restored 1835 farmhouse in Killingworth. He and his family share their home and fields with a menagerie of very well cared for animals that include but are not limited to, a great dane, mini horses and a colorful gaggle of chickens. The father and son team of John M. and Michael J. Milano successfully ran the business of developing residential and commercial properties for twenty-four years. Their joint ventures included the construction of over 300 homes and 30 commercial projects for MJM Builders and MJM Self Storage of Clinton and Cheshire. The Terrace at West Wharf in Madison, and Tuttle Brook Farms in Haddam are their most recent projects.